It is the constant refrain among the commentariat that if the Central Bureau of Investigation (CBI) constantly breathes down the neck of bank managers who grant loans, the result would be a slowing down of the economy as the latter would play it safe and not lend even if there is a slight element of risk. They also aver that banks flush with funds in such a milieu may take comfort and safety of government securities though they yield far less than loans thus making for suboptimal utilization of bank funds. It is true that the line between loans gone sour due to economic downturn and due to fraudulent intent ab initio is very difficult to draw. On Monday, 14 May 2018, the CBI filed a charge sheet in the Rs 14,000-crore fraud case involving diamantaire Nirav Modi at the state-owned Punjab National Bank (PNB) and named the CEO of Allahabad Bank, Usha Ananthasubramanian and two executive directors of PNB. Hot on the heels of the CBI action, the government directed the boards of both the banks to divest these officials of all financial and executive powers. 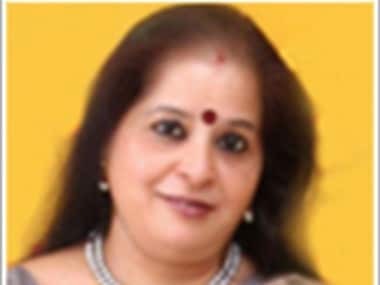 Reports based on information from CBI officials indicate that Ananthasubramanian, a former CEO of PNB, had allegedly failed to “take cognizance” of the fraud during her tenure in the bank in 2016. This was at a time when the Reserve Bank of India (RBI) had advised banks to be diligent on transactions relating to trade credit and report frauds. • Loss to bank occasioned despite their best efforts. Only a thorough investigation into their roles would bring out which one of the three reasons was responsible for the fraud remaining under the carpet for so long. It is then the bank managers’ lot that his/her functioning can come under scrutiny anytime. It is a job hazard. A pilot takes the risk of flying, often successfully emerging out of turbulence. Likewise, a bank manager takes the risk of his/her integrity coming in for scrutiny. S/he therefore cannot bristle with indignation or with a sense of hurt that his/her integrity is being questioned though there is a seething, if justified resentment among the PSB staff that while their role comes under scrutiny, those of their private sector counterparts often do not. In this connection, the cognoscenti is questioning why the CBI has not stepped in and inquiring into the role of its CEO Chanda Kocchar in the Videocon loan case where there are allegations of conflict of interest. Public sector banks (PSBs), to be sure, are a different kettle of fish--- they are instruments of the state and hence their officials are more accountable vis-à-vis the officials of private banks besides being public servants coming under the purview of the Prevention of Corruption Act. Under this Act, it is for the public servant to prove his/her innocence. But then it is equally true that if taxpayers’ money is involved in the case of PSBs warranting heightened vigilance, in the case of private banks it is the safety of the depositors’ and shareholders’ funds that is at stake. Both, at the end of the day, deploy public money. Lenders who have taken solid securities like in the case of home and gold loans normally face fewer troubles from investigators. They must remember that a bank is not a venture capitalist. In any case, it would be wrong to expect that only borrowers would face the heat of any investigation like forensic audit after the event and diligent non-performing asset (NPA) reporting as vanguard action. A loan is consummated only after the application is sanctioned. Therefore, the sanctioning authority cannot escape his/her/their share of the blame if things go wrong. They must learn to be thick-skinned.